MOSCOW, April 15. /TASS/. 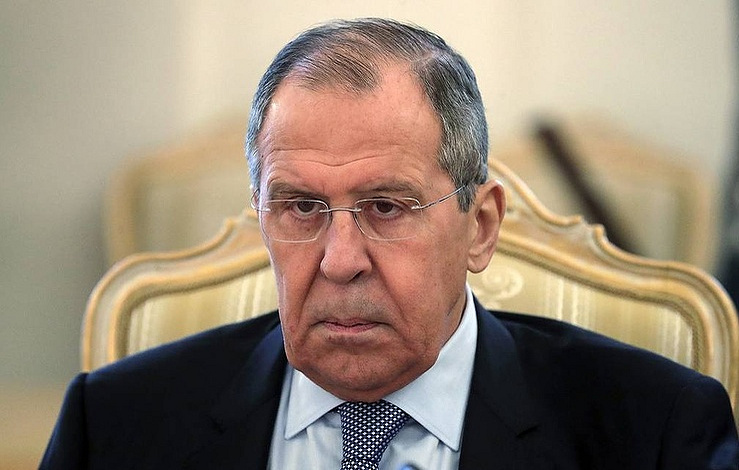 Russian Foreign Minister Sergey Lavrov will meet with his Azerbaijani and Armenian counterparts Elmar Mammadyarov and Zohrab Mnatsakanyan in the Russian capital on Monday to discuss the prospects for the Nagorno-Karabakh settlement. The closed-door consultations will take place in the wake of the talks between Azerbaijani President Ilham Aliyev and Armenian Prime Minister Nikol Pashinyan held in Vienna on March 29. The conversation between Aliyev and Pashinyan in Austria’s capital was their fourth personal meeting but the first official negotiations. The two leaders earlier met on the sidelines of the CIS summits in Dushanbe and St. Petersburg (in September and December 2018) and at the World Economic Forum in Davos (on January 22). The most important result of the Vienna round was the parties’ willingness to continue direct dialogue on a peaceful settlement. The Minsk Group co-chairs noted at that time that the leaders highlighted the importance of creating an environment conducive to peace and taking further specific and tangible steps in the negotiation process to find a peaceful solution to the crisis. Aliyev and Pashinyan also agreed on humanitarian measures to resolve the Nagorno-Karabakh conflict and reaffirmed the need for a ceasefire and improvement of the direct communication mechanism. Russian President Vladimir Putin discussed the results of the Vienna meetings with Aliyev and Pashinyan over the phone. The Kremlin reported on April 2 that he pointed to the importance of a negotiation process between Baku and Yerevan and said Moscow was willing to continue to provide assistance to search for ways of a peaceful solution to the Nagorno-Karabakh problem, including within the OSCE Minsk Group. The conflict between Azerbaijan and Armenia over Nagorno-Karabakh broke out in February 1988, when the Nagorno-Karabakh Autonomous Region declared departure from the Azerbaijani Soviet Socialist Republic. During the 1992-1993 armed conflict Azerbaijan lost control over Nagorno-Karabakh and seven neighboring regions. Talks on the Nagorno-Karabakh settlement have been going on since 1992. Russia, the US and France are co-chairs of the Minsk Group of the Organization for Security and Cooperation in Europe (OSCE) that acts as a mediator in resolving the crisis.